A fire broke out Thanksgiving Eve in a New Hampshire home. A resident of the home came home to find the couch on fire. The fire was just about out thanks to the home’s fire sprinklers. Firefighter made sure the fire was out and removed the smoldering couch. An investigation discovered a lamp inside the home caused the fire. The lamp fell onto the couch when no one was home and the heat from the lamp started the fire. If not for the fire sprinklers, the home could have been consumed by flames. This was a random occurrence that took place because no one was around to watch it happen. But there are quite a few instances that could cause a fire during Thanksgiving. We have deep-fried turkeys cooking on the porch, we have tons of delicious foods in the oven and on the stovetop. Every year deep-fryer fires are responsible for five deaths, 60 injuries, the destruction of 900 homes, and more than $15-million in property damage, according to the National Fire Protection Association. Which state has the most accidents? 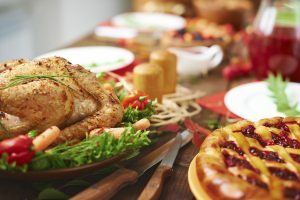 For the last seven years, Texas has led the country in most grease- and cooking-related insurance claims on Thanksgiving Day, with 38 according to insurance company State Farm. Illinois follows, with 27 reports and Pennsylvania and Ohio are tied for third with 23. New York ranked fourth, with 22 claims and South Carolina and Georgia claimed fifth with 16 claims each. Thanksgiving is a holiday for family, friends and food. Make sure you protect yourself and stay safe. Agencies or businesses that operate on a 24-hour basis or prepare high volumes of food should have their kitchen hood inspections performed quarterly. Businesses such as sit-down restaurants that prepare food at moderate levels should have kitchen hood inspections performed twice a year. Organizations such as churches that cook small volumes of food or operate only occasionally only need kitchen hood inspections performed once a year. According to National Fire Protection Association, NFPA 96 (the standards set for kitchen hoods), every commercial kitchen has an industry standard for how often they should schedule the inspection to ensure their facility is up to code. To make sure your kitchen hood passes the grease inspections, make sure you clean it regularly. Grease fires can be dangerous—they flare up fast, the fuel source (grease) is liquid and can easily splash and spread, and they can’t be controlled with water. If you would like to learn more about kitchen hood inspections, contact CJ Suppression Inc. at 888-821-2334 or visit www.cjsuppression.com for additional information. CJ Suppression Inc. proudly serves Corona, San Bernardino, Yorba Linda, Anaheim, Victorville, Irvine and all surrounding areas. A kitchen fire erupted in a town home in Bryans Road Maryland while the occupant was cooking. Luckily the fire sprinklers in the kitchen extinguished the fire leaving mild damage to the cabinet and vent hood. The occupant unfortunately received 1st and 2nd degree burns to both of her hands when trying to remove the flaming pot from the stove. When asked, the occupant said she felt lucky to have the fire sprinklers as protection for her own life and protected her townhome from further damage. 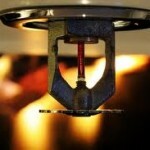 Fire sprinklers save lives and property. Kitchen fires are very common and can happen at any time. 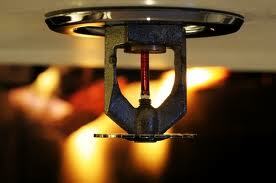 Be sure to have regular fire sprinkler inspections to ensure your fire sprinklers are working properly. At CJ Suppression of Corona, CA we take care of all of your fire sprinkler needs, such as fire sprinkler repairs, fire sprinkler inspections and fire sprinkler installation. Call CJ Suppression today at 888-821-2334 or www.cjsuppression.com. A decrease in fire deaths in Maryland are credited to new state requirements for fire sprinkler systems in residential homes. Last year there were 52 deaths from fire and fire related injuries. That’s a 22 percent decline from 2011. Fire officials at the state and city levels have pushed for residents to install fire alarms in their homes, with free alarms being handed out to city residents. To learn more about fire sprinkler systems and fire sprinkler installation contact CJ Suppression in Corona, CA at 888-821-2334. Visit their website www.cjsuppression.com. A residential house fire in Maryland was quickly extinguished by a fire sprinkler located in the kitchen of the townhouse. The sprinkler limited the fire damage to the cabinet and vent hood. The fire started from a pot on the stove while the homeowner was cooking. When asked about the fire, the homeowner stated she was very lucky to have a fire sprinkler system that ensured the fire did not cause more damage. Don’t wait until it’s too late. 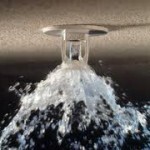 Call CJ Suppression today to get a fire sprinkler system installed. 888-821-2334 or www.cjsuppression.com. Kitchen Hoods Inspections in Riverside California, and surrounding areas by CJ Suppression. CJ Suppression also provides San Bernardino, Riverside, Orange, and surrounding California communities a comprehensive array of fire protection services for industrial and commercial facilities. Contact Us today (888) 821-2334.